Millions of seniors in the U.S. rely on Medicare, the country’s national health insurance program. As of July 2018, more than 59 million people were enrolled in Medicare health plans, and that number has been rising each year. With millions of people using these benefits and tens of thousands of providers delivering health care service under Medicare, navigating the program’s benefits can be complex. This resource will help seniors and their loved ones understand what Medicare is and provide some basics about how the various aspects of the program work, such as whether Medicare will cover senior care services such as an assisted living community or home health care. Most people qualify for all Medicare programs if they’re 65 or older and are citizens or permanent residents of the United States. Also, people under 65 who are disabled or have end-stage renal disease can also qualify for Medicare. In those cases, it is provided after diagnosis. How does someone enroll in Medicare? People who are receiving any type of Social Security benefits when they turn 65 will be automatically enrolled in Medicare, and will receive enrollment cards and information about three months before their 65th birthday. If they aren’t automatically enrolled, they may sign up at any local Social Security office. They should enroll two or three months before they turn 65 to ensure prompt coverage. Which health care providers can Medicare patients see? They can go to any doctor, hospital, clinic, outpatient provider, nursing facility, home care agency or pharmacy approved by Medicare and that accepts Medicare patients. Before a visit, it’s essential to verify that the doctor or other provider accepts Medicare. Medicare is intended primarily to provide coverage if and when someone becomes ill or injured. This includes hospitalization, doctors’ services, lab work, X-rays, hospice and just about every kind of outpatient care, as well as some inpatient nursing facility and psychiatric care. Over the years, however, Medicare has evolved to also cover a range of preventive and screening services. Some of these services include cardiovascular screening; smoking cessation counseling; screening for breast, cervical, vaginal, colon and prostate cancers; immunizations for flu, pneumococcal virus and hepatitis B; diabetes screening and supplies; glaucoma tests; and a “Welcome to Medicare” physical exam. 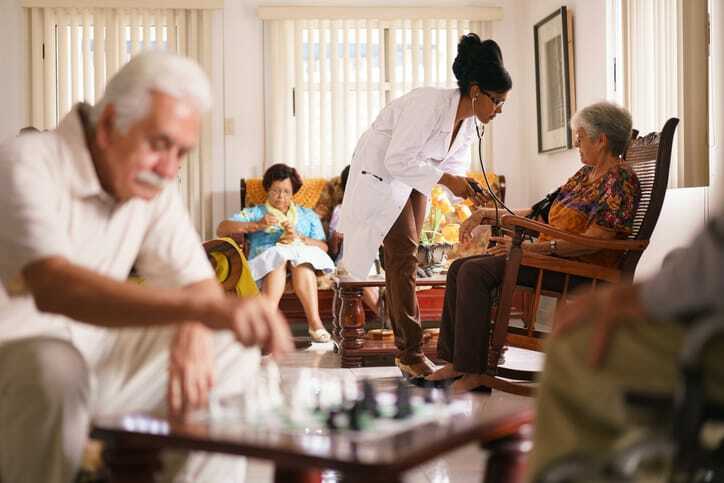 For those who meet certain requirements for home health care, Medicare also pays for part-time nursing care; part-time health aides; speech, physical and occupational therapy; and medical supplies and equipment such as bandages and wheelchairs. Medicare isn’t intended or designed to provide long-term nursing home or in-home care, so there are significant gaps in these areas. Families can’t rely on Medicare to pay for 24-hour at-home care, meals, delivery services or many of the personal services provided by home health aides (except for some skilled nursing care for a short time if it’s medically necessary). Although Medicare has added many preventive services to its coverage in recent years, many such routine care needs are not yet covered, including dental care, medical treatment outside the United States, routine foot care, glasses and hearing aids. Medicare coverage for mental health treatment — including depression, which is a growing issue among people over 65 — is also significantly limited. And Medicare doesn’t cover elective procedures, including cosmetic surgery. When seeking medical care, ensure the doctors you have in mind accept Medicare, or the program won’t pay for even covered costs. This is also true for outpatient care, home care and prescription drugs, which Medicare patients must buy from a pharmacy that participates in their particular plan. Each part of Medicare has a different payment system. And within each part, patients’ out-of-pocket costs will depend on the particular way they receive their benefits. The first thing that’s important for anyone enrolling in Medicare to understand is that Medicare actually actually refers to four different programs: Part A, B, C and D.
Part A coverage is free for qualifying seniors and pays for inpatient hospital care, skilled nursing care, hospice care and some home health care. 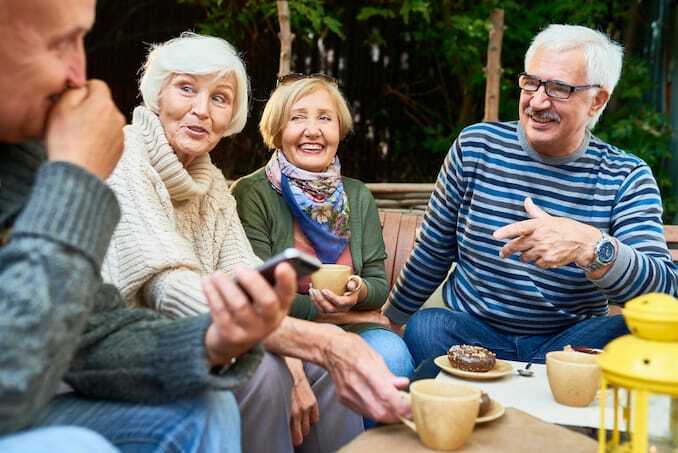 Seniors may also choose to purchase a supplemental Part B Medicare plan, which covers some expenses Part A doesn’t, like doctor visits, outpatient hospital care, durable medical equipment and some other medical services. Individuals who are entitled to Part A and enrolled in Part B are eligible to switch to Part C, or Medicare Advantage, a group of private health plans that offer the same benefits as Part A and B.
Medicare Part D is a prescription drug benefit seniors can purchase to make their prescription requirements more affordable. Part A coverage does require that the service is medically necessary and must be performed in an inpatient setting. Because Part A coverage has a deductible associated with each hospital stay, seniors should be aware that they may be responsible for a portion of any inpatient treatment bill. As of 2018, everyone with Part A pays a deductible of $1,156 for each period of hospitalization and copayments for each day past the first 60 days of a particular hospital stay. Many seniors purchase private Medicare supplement plans, which may cover some of the costs left over after Medicare pays. Most enrollees pay no premium, as long as they worked and paid Social Security and Medicare taxes for at least 10 years. If not, they may still buy into Part A coverage for a monthly premium of up to $422. Medicare Part A is run directly by the federal government’s Centers for Medicare and Medicaid Services (CMS), part of the Department of Health and Human Services. Its website provides information about Medicare Part A, and staffers answer questions by phone at the toll-free number, 800-633-4227. For more information, visit our Guide to Medicare Part A. Part B is optional coverage that must be purchased. Every citizen and legal resident over 65 is eligible. Doctor bills are probably the biggest chunk of outpatient expenses that are covered. The category includes any service by a doctor wherever it’s provided — whether that’s a hospital, doctor’s office or clinic. It also covers any other work performed by the doctor’s staff, as well as any drugs administered in the office. For services to be covered, they must be ordered by a physician and be deemed medically necessary. They must also be provided by a doctor’s office or other provider that accepts Medicare and is approved by Medicare. The monthly premium for Part B coverage is at least $134 (more for people with higher incomes) and is automatically deducted from Social Security checks. The program also has an annual deductible of $183. After the deductible, Medicare pays 80 percent of the approved amount for covered doctor services and 80 to 100 percent of the approved amount for outpatient services and medical equipment. 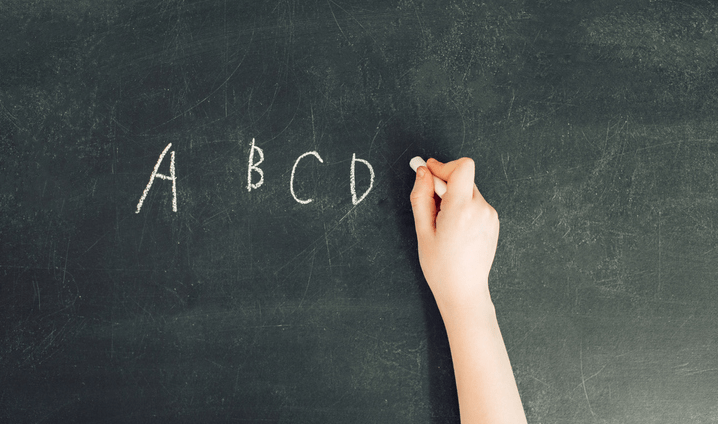 Timing is of the essence: If a potential enrollee waits until more than three months after their 65th birthday to enroll in Part B, they may not enroll until January 1 of the following year, and the coverage won’t start until July 1 of that year. For more information, visit our Guide to Medicare Part B. A Medicare Part C (also called Medicare Advantage) plan is a private insurance policy that replaces Medicare Part A and Part B. If you enroll in a private Medicare Part C plan, you no longer receive coverage through Medicare Part A or Medicare Part B.
Medicare Part C plans are regulated by the federal government, which requires every plan to provide at least the same coverage as the government-run Medicare Parts A and B. Medicare Part C plans eliminate some Medicare co-payments and deductibles and may provide additional benefits, making them attractive to some seniors. The official Medicare website has a feature called the Medicare Personal Plan Finder that can direct you to Medicare Part C plans available where you live. It also gives information about each plan’s general terms. For more information, visit our Guide to Medicare Part C.
Part D is a collection of private plans that cover prescription drugs. The federal government sets the basic rules for the plans, but they are issued by private insurance companies. Every prescription drug plan under Part D has different premiums, copayments and drugs it covers. In choosing a plan, be sure not to focus solely on the lowest monthly premium and consider whether it covers the specific drugs needed and what type of copayments might apply. Different plans are offered in every state. Medicare’s website has information about Part D drug plans available where you live, including the medications currently in each plan’s formulary. Or you can contact Medicare by phone at (800) 633-4227. You can get free, independent expert help in choosing a plan from your local State Health Insurance Assistance Program (SHIP). You can also get independent help online from the Medicare Rights Center. For more information, visit our Guide to Medicare Part D.
Medicare doesn’t cover long-term custodial (non-medical) or residential care in any setting, but there’s more to the picture. It does cover limited short-term senior care, and there are other options like Medicaid and in-home care services. What assisted living expenses are covered by Medicare? There are no Medicare or Medicare Advantage plans that pay for non-medical residential care in an assisted living facility. The closest thing Medicare pays for in this kind of situation is short-term skilled care. Patients who receive inpatient hospital care for at least three consecutive days can receive up to 100 successive days of care under Medicare if their doctor says that short-term skilled care is required. For low-income or disabled residents, Medicaid may be a way to cover some assisted living costs. Unlike Medicare, which is funded and run by the federal government, Medicaid is an insurance program operated by individual states. It’s funded jointly by state and federal governments and covers low-income and disabled individuals. Medicaid can pay the full cost of assisted living, but the requirements for this are different in each state. Nearly all states offer some sort of assisted living benefit to eligible seniors, such as coverage of personal care and medication management. However, no state is allowed to provide Medicaid coverage for room and board. In order for Medicaid to pay for assisted living costs, the recipient typically has to “spend down” their resources to a very small amount of assets. This threshold also varies by state. In Oregon and Indiana, for instance, a single person can have up to $2,205 per month in income and $2,000 in resources (not including their home) and still receive Medicaid coverage. California has the same resource limit, but the monthly gross income limit is set at $1,220. In New York, income can’t exceed $825 a month for single people and resources must be lower than $14,850 to qualify. For more information on Medicaid benefits by state, visit benefits.gov. The patient must have a medical need for, and their doctor must prescribe, skilled nursing care or rehabilitative physical or speech therapy. The care must be needed part-time only to help recover from an illness, injury or acute condition. If, instead, the patient needs care because of a long-term condition or general frailty, Medicare won’t cover it. Medicare also won’t cover full-time or daily care. 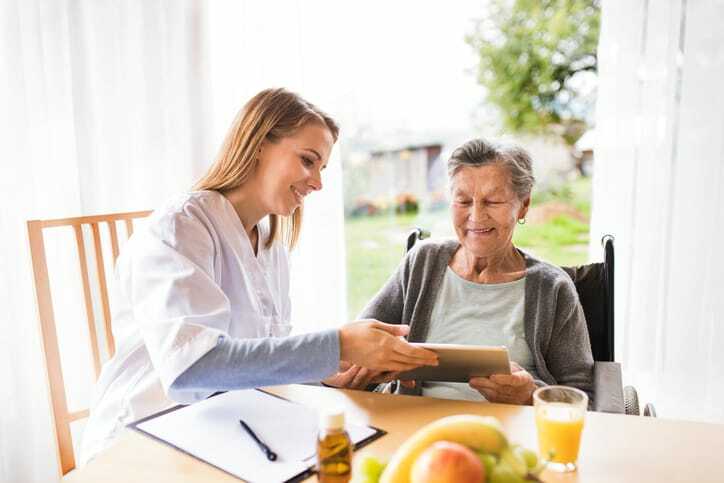 Medicare covers home care only if and for as long as the patient is “confined to home.” This means that the patient is unable to leave home without difficulty and without the assistance of another person or a medical device such as a wheelchair. However, it doesn’t necessarily mean bedridden. Medicare covers home care only while the patient is actively recovering, which means while their condition is improving. Once a patient’s condition has stabilized, as determined by their physician, the home care agency and Medicare, home care coverage ends. Medicare only covers home care provided by a Medicare-certified home health care agency. Unfortunately, this leaves out registry nurses, private therapists, and independent caregivers. A Medicare Part C Medicare Advantage plan must provide home care if the enrolled patient meets the conditions for coverage described above. But a Medicare Part C plan may provide some home care even if the patient doesn’t meet all these conditions. To find out what the home care coverage terms and conditions are for a particular Medicare Part C plan, contact the plan provider directly. How much does Medicare pay for home health care? If a patient qualifies for Medicare coverage of home health care, Medicare pays the full amount of the home healthcare agency’s charges, except for the rental cost of durable medical equipment such as a wheelchair or hospital bed, for which Medicare pays 80 percent. If a patient is enrolled in a Medicare Part C Medicare Advantage plan or has a Medigap insurance policy, that plan or policy may pick up this extra 20 percent for medical equipment; otherwise, the patient has to pay for it personally. The home care agency isn’t allowed to bill patients for any amount above the Medicare-approved charges. Medicare doesn’t put any specific limit on the number of home care visits it will cover or on the total number of days a patient can be served by the home health care agency. But coverage will continue only as long as the patient meets all the qualifying conditions. A patient’s condition and needs are regularly evaluated by the home care agency and by Medicare itself to determine how long skilled home care is medically needed and thus how long Medicare will keep paying. Where can I get more information about Medicare coverage for home health care? If the person you’re caring for is in the hospital and you’re looking for answers about follow-up care at home, contact the hospital’s discharge planner, who arranges this type of care, or the hospital ombudsman, who’s trained in Medicare issues and part of whose job is to help patients and families understand them. You can also get information about home care coverage directly from Medicare’s website or by calling (800) 633-4227. If the person you’re caring for has been referred to a particular home care agency, the intake administrator for that service can also help with Medicare-related questions or problems. If the person you’re caring for has a Medicare Part C Medicare Advantage plan, contact the plan directly for information about home care coverage. If you need low-cost or subsidized home health care that isn’t covered by Medicare, you might consider looking into the Program of All-Inclusive Care for the Elderly, or PACE, which is run through Medicare and provided to Medicaid beneficiaries in some states. PACE is a voluntary program for people over age 55 who live in a PACE service area, are eligible for nursing home care and can safely live in their own home. The goal of the program, which now operates in more than 30 states, is to keep people from moving to assisted living or nursing homes by providing all of the care they need through nearby adult day health centers and home care. Nearly all Medicaid and Medicare-eligible services are covered under PACE, including primary and hospital care, medications, physical therapy and social support services. If an individual is eligible for Medicaid, the costs of the program are covered. If they are only covered under Medicare, enrollees pay monthly premiums to take part, much like they would in a Medicare Advantage plan. More information on the PACE program by state can be found at Medicaid’s website. The Centers for Medicare and Medicaid Services also provides a Home Health Compare tool to help individuals look up ratings of different agencies in their communities. There are two different types of inpatient nursing and rehabilitation care that Medicare Part A covers, each under a different set of rules and limitations. A patient’s stay must begin within 30 days of an inpatient hospital stay of at least three days. The patient must need, and have a physician’s prescription for, daily skilled nursing care or physical rehabilitation. Coverage lasts only while the patient’s condition is improving. Once the patient’s condition has stabilized, Medicare Part A will no longer cover inpatient care. For the first 20 days of coverage during any benefit period, Medicare Part A pays the full Medicare-approved amount for the cost of a SNF stay. For days 21 to 100 of a covered stay in a skilled nursing facility during any one benefit period, Medicare pays the full Medicare-approved amount, except for a daily coinsurance amount of $141.50 per day. After 100 days in a skilled nursing facility in any one benefit period, Medicare no longer pays any of the cost. The patient must need, and a physician must prescribe, acute rehabilitation consisting of at least two different types of therapy (such as physical and speech therapy or physical and occupational therapy). The patient must need, and a physician must prescribe, at least three hours per day of rehabilitation therapy. The patient must need to receive the care as an inpatient, as prescribed by a physician and justified by the facility on an ongoing basis. Care must be in a Medicare-certified inpatient rehabilitation facility. Coverage lasts only as long as the patient needs the qualifying level of care. There’s no requirement of a prior hospital stay to receive IRF coverage, but without prior hospitalization, Medicare is more likely to question the need for inpatient rehabilitation care (as opposed to receiving the care as an outpatient). Medicare Part A pays 100 percent of the Medicare-approved amount for a stay in an IRF for as long as Medicare agrees that such inpatient care is medically necessary. Talking about your wishes for end-of-life care sounds morbid, but those preferences should not be kept secret. 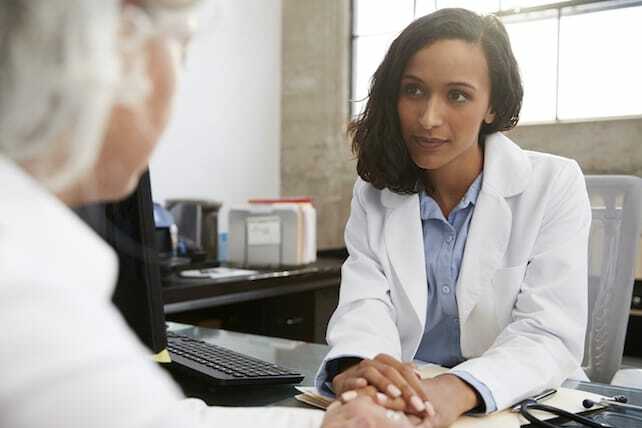 Experts say that an advance care planning process is a way to ensure quality of life while providing guidance for the health care team and loved ones. 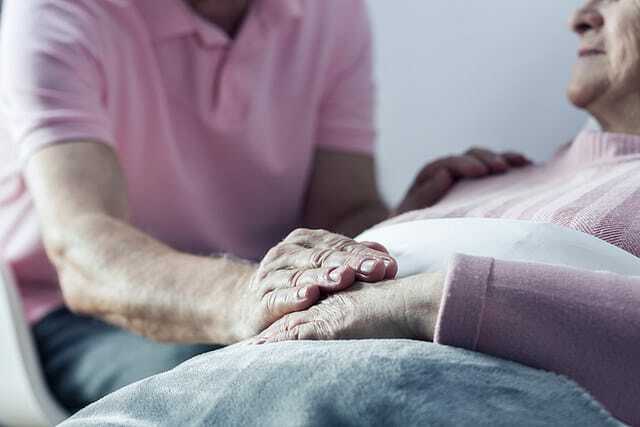 According to the Conversation Project, a national collaborative effort to support end-of-life discussions, 90 percent of people say it is important to talk to loved ones about what you want at the end of life — yet only 26 percent of adults have had that conversation. “When I ask patients about their wishes, they will often tell me who they plan to leave their money to. They feel more comfortable telling me who they are leaving the house to than what their wishes are for care,” says internist Kate Lally, MD, chief of palliative care for Care New England Health System in Warwick, Rhode Island. As important as estate planning is, thinking about care and quality of life should also be emphasized, experts say. Since January 2016, all Medicare beneficiaries have the option to schedule a visit with their doctor for the purpose of advance care planning. This visit is only a first step in the whole process, though. “You can just have the discussion as part of a wellness visit or another visit with a copay. The real point of any advance care planning conversation is to think about what your wishes are for care and treatment and then to appoint someone to be your substitute decision-maker,” explains Jo Kline Cebuhar, JD, author of “The Practical Guide to Health Care Advance Directives”. The substitute decision-maker you need to identify is called a health care proxy, also known as a durable power of attorney for health care. This person will advocate on your behalf in health care situations if you can no longer speak for yourself. According to The Conversation Project, half of all people over 65 who go to the hospital are unable to tell doctors and nurses what kind of care they want, so someone else has to make these crucial decisions, often under pressure. Prior to this option becoming available in early 2016, advance care planning conversations were only covered by Medicare for people with a life-limiting diagnosis, Kline notes. Medigap, also known as Medicare Supplemental Insurance, is a health insurance policy sold by private insurance companies that fills the gaps that Medicare fails to cover, such as coinsurance, copayments and deductibles. Medigap coverage is renewed annually and requires a monthly premium. There are several important considerations when shopping for Medigap plans. First, a number of insurance companies offer policies with identical benefits but at different rates. Second, not every company offers all policies. Make sure you carefully consider which policy is the best for your needs. If you are married, you and your spouse must purchase separate policies. To be eligible for Medicap, you must be a recipient of both Medicare Part A and Medicare Part B and cannot be a Medicaid recipient. For a full description of all Medigap policies, visit Medicare.gov.